The Character and Self-Esteem Institute is a professional member of The Holistic Chamber of Commerce. "The Holistic Chamber of Commerce stands for excellence among holistic, complementary, alternative, and sustainable professionals, practitioners and businesses. All Professional Members of The Holistic Chamber of Commerce have submitted references, which The Holistic Chamber of Commerce has checked." The Character and Self-Esteem Institute is a member of The E-Learning Guild. This is specifically for professionals providing e-learning (distance education services). Dr. Shauntel Peak-Jimenez is a member of the online learning consortium (professional growth opportunities for online learning professionals). 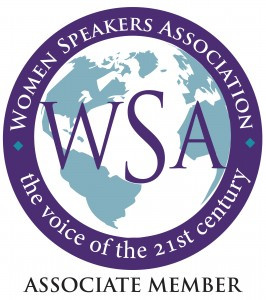 Dr. Shauntel Peak- Jimenez is a member of the Women Speakers Association. Dr. Shauntel Peak-Jimenez is also a member of the Association of Independent Authors. Dr. Shauntel Peak-Jimenez has also been recognized nationally and internationally as a expert online article author. Dr. Shauntel is also a member of The National Association of Women Business Owners. Thank you for taking the time to read about our memberships and affiliations.